The name Nike is inspired by the name of the Greek Goddess of Victory - NIKE. N150 On Fire defines the style of the uber hot and handsome hunk.Spray it on and get ready to woo the ladies. 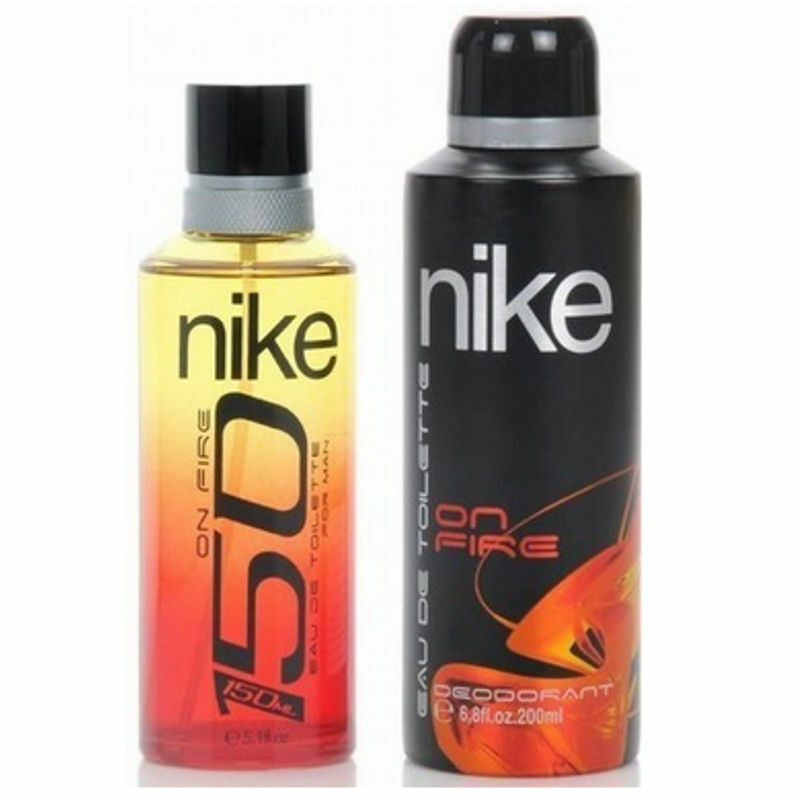 Nike 150 On Fire Gift Set (EDT 150ml + Deo 200ml) is an ideal gift for the confident modern man.